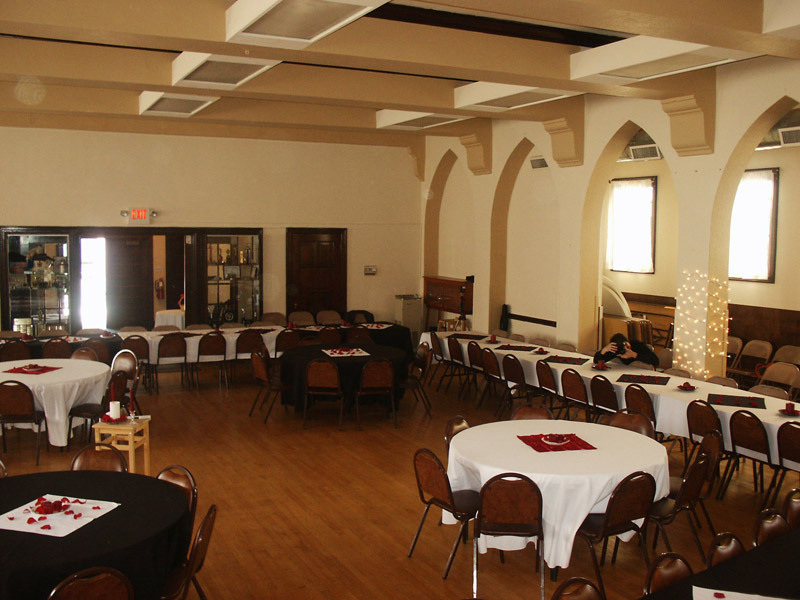 Whether you’re hosting a family reunion, wedding, trade show, corporate event or class – the Milwaukie Masonic Lodge makes a great location at an affordable price. Our facility features two levels of meeting/dining space. We have a full commercial kitchen with place settings. 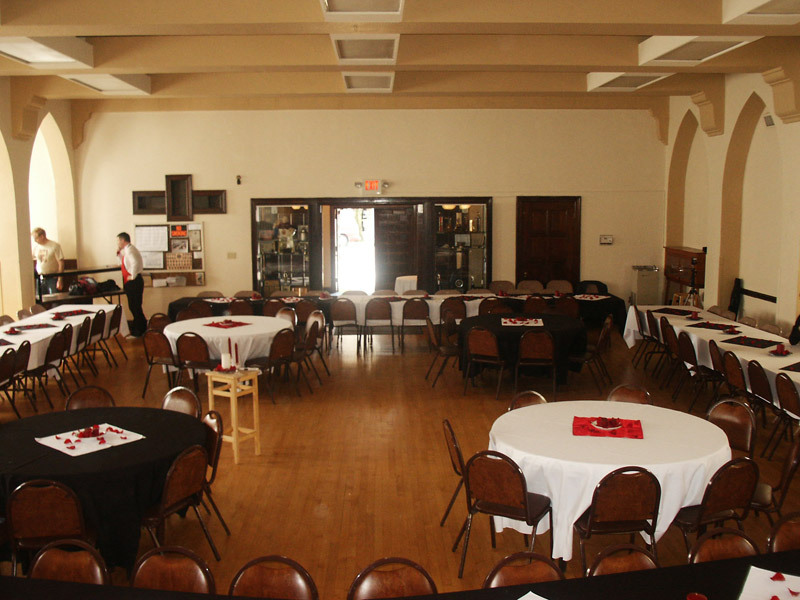 The hall can be configured for formal dining, or broken down to a large open space. Our stage is elevated, overlooking the large hall – perfect for a performance, ceremony or lecture. The stage features a retractable 12 foot movie screen, and the projector connects to most video output devices. We also have high speed internet with wi-fi for streaming content or video conferences. 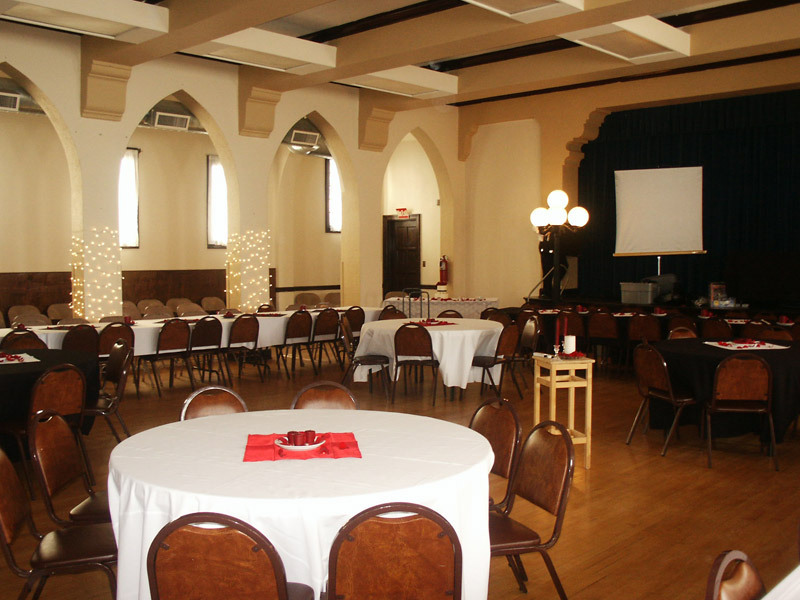 Our upstairs Lodge room may also be rented out, and features a more formal setting for wedding ceremonies, lectures or community meetings. Rental costs begin at only $400 for a one-time event, depending on how much of the facility’s amenities you plan to use. Alcohol is allowed when you use a licensed bartender/caterer with a banquet permit and suitable insurance policy, which we will help you arrange. We have both round and rectangular tables, chairs, a commercial kitchen, stage and more. 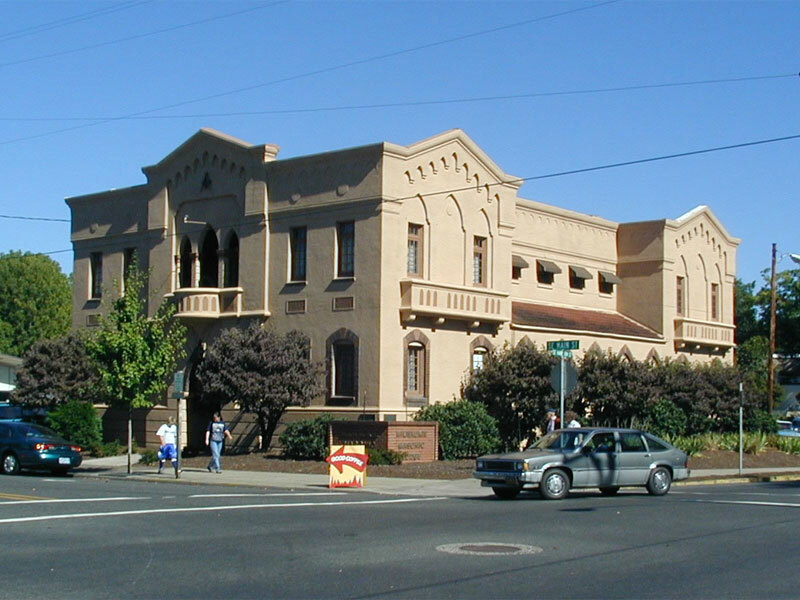 If you’re looking to hold a multi-day event, weekly or daily classes, the Milwaukie Masonic Lodge will be happy to negotiate an affordable contract. 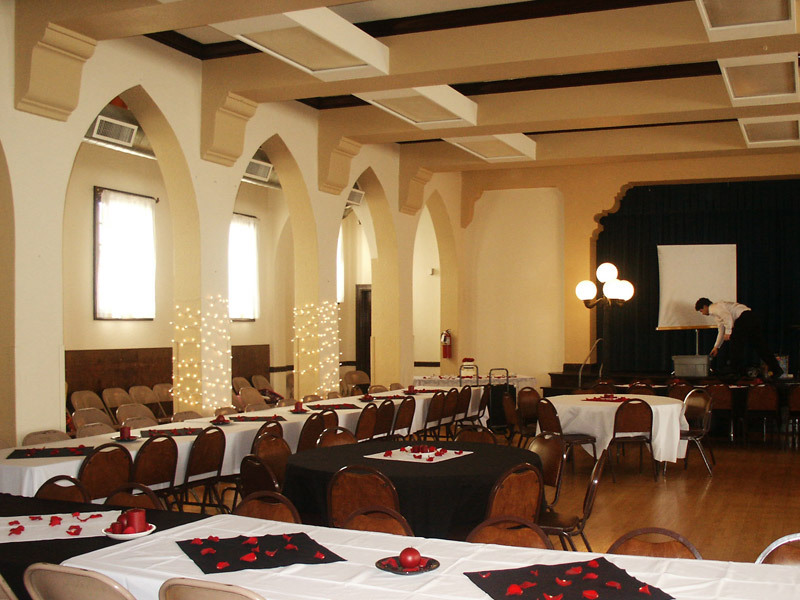 Rental rate for one-time events starts at only $400!